Dutch Ministry of Defence/YouTubeThese four men have been accused of trying to hack the Organisation for the Prohibition of Chemical Weapons. The Netherlands accused four Russian agents of trying to launch a cyberattack into the world’s chemical weapons watchdog. Dutch officials linked the suspects to the GRU, Russia’s intelligence service, after finding that one of their mobile phones pinged near the GRU building and another took a cab near the GRU. Russia denied the allegations, and called the Dutch announcement a “diabolical cocktail” of disinformation. The suspects travelled to the Netherlands this April to try to launch a cyberattack on Organisation for the Prohibition of Chemical Weapons, which is headquartered in The Hague, the head of Dutch military intelligence said in a press conference. The suspects were identified as tech experts Aleksei Morenets and Evgenii Serebriakov, and support agents Oleg Sotnikov and Alexey Minin, the BBC reported. It isn’t clear whether Dutch officials think these are aliases of their real names. 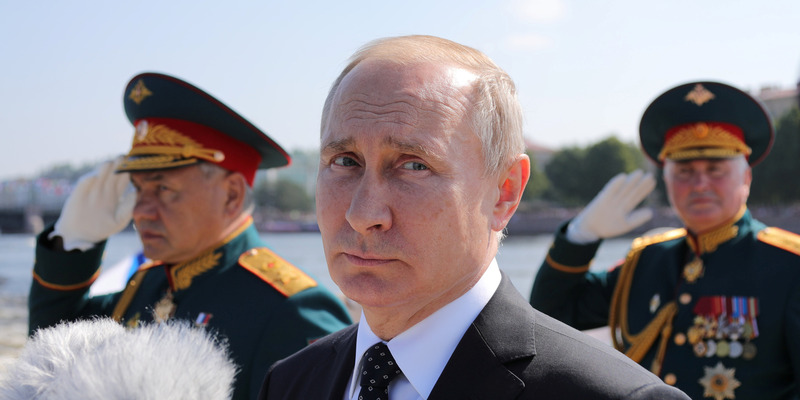 Dutch Ministry of Defence/YouTubeThe four suspects accused of trying to hack the Organisation for the Prohibition of Chemical Weapons: Aleksei Morenets, Evgenii Serebriakov, Alexey Minin, and Oleg Sotnikov. The four men used various antennae, laptops, mobile phones, and other equipment to try and breach the OPCW’s WiFi network, Eichelsheim said (details of what Dutch officials said are taken from the Reuters news agency, which translated the remarks). They failed to penetrate the OPCW’s network, Dutch defence minister Ank Bijleveld said on Thursday. They were briefly detained in the Netherlands in April, and then “put on a flight to Moscow” days after their arrival, Bijleveld said. 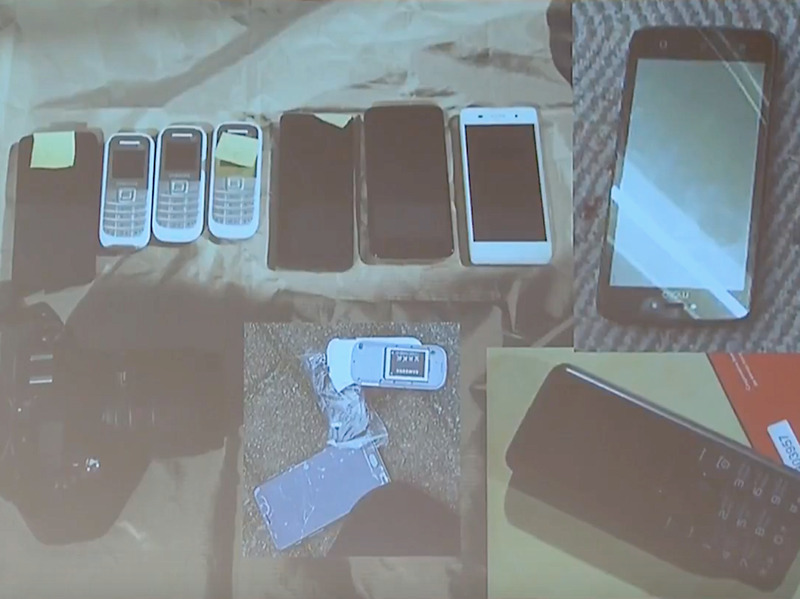 Dutch Ministry of Defence/YouTubeSome of the equipment found with the suspects. 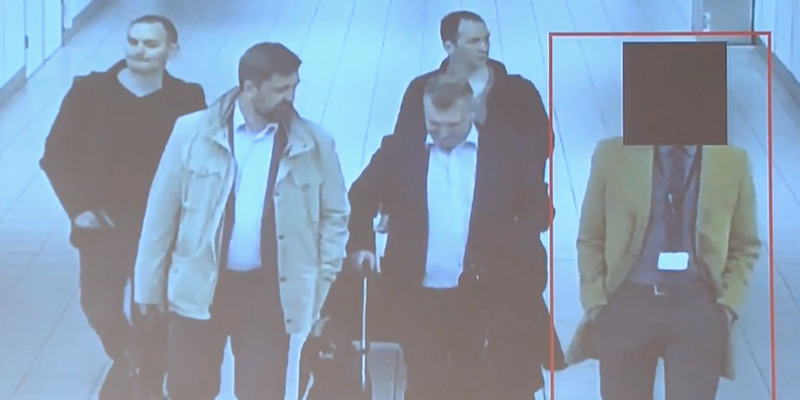 On April 10, the suspects travelled from Moscow to Amsterdam with diplomatic passports, were escorted out of Schipol international airport by a member of the Russian embassy. They then hired a car and drove around the OPCW’s headquarters in The Hague on April 11 and 12 for a reconnaissance trip. 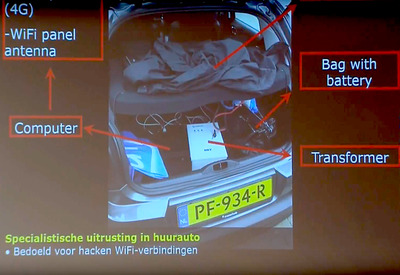 Equipment stashed in the trunk of their car, including a computer and WiFi panel and antenna, were used to intercept people’s logins. Dutch Ministry of Defence/YouTubeItems found in the suspects’ car while they were trying to hack the OPCW. The antenna was pointed directly at the OPCW building, the Netherlands said. Dutch officials were sure that the men were suspicious because upon being stopped they tried to destroy one of the mobile phones they were carrying, the BBC said. They also carried a large amount of cash, and tried to remove litter from their hotel to cover up their tracks. The Netherlands then determined that they were agents of the GRU, Russia’s military intelligence service, after finding that one of their phones was activated near the GRU building in Moscow, and discovering a receipt for a taxi journey from a street near the GRU to the Moscow airport, the BBC reported. Sputnik/Mikhail Klementyev/KremlinRussian President Vladimir Putin. A spokeswoman for Russia’s Foreign Ministry called the Thursday announcement a “diabolical perfume cocktail” of allegations by someone with a “rich imagination,” Reuters reported. The US Department of Justice is expected to issue indictments of the four suspects later on Thursday, Reuters reported the Dutch defence minister as saying.